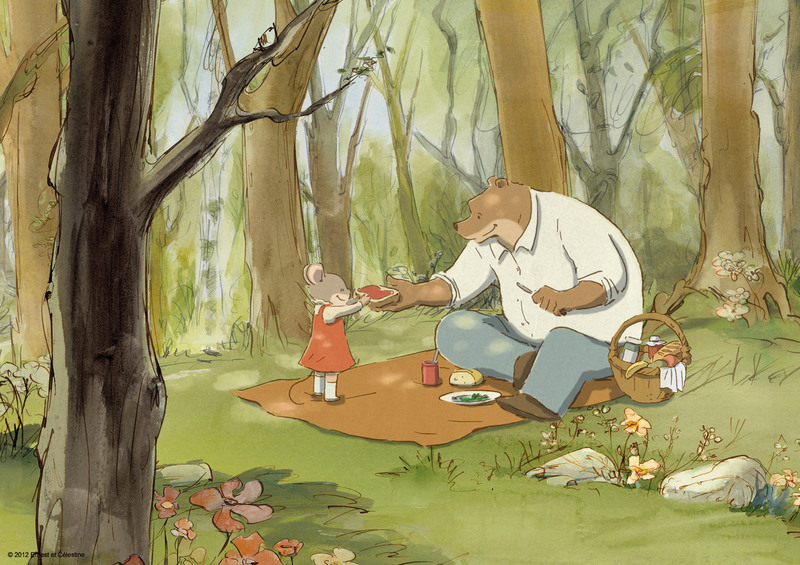 Tom Bancroft is a world renowned artist, director, traditional animator, author, and mentor. His credits include Beauty and the Beast, Aladdin, The Lion King, Mulan, Tarzan, and many more. He has authored instructional books on character design and animation, and he also has his own hit comic called “Outnumbered.” In this interview we learn about his past achievements, present ventures and future endeavors. Why did you decide to start teaching online classes? TOM: I’ve toyed with the idea of an online- or even brick and mortar- animation/art program for years. I have a real love/hate relationship with art schools. I love them in concept but hate the politics/ economics/ greed/ lack of talent that get in the way of them being good places to learn the art of drawing. What has stopped me in the past is time and the desire to continue to do my own art. I don’t want to retire and be a teacher. So, my two character design books fed my need to share the principles I’ve learned from my experience at Disney and elsewhere. 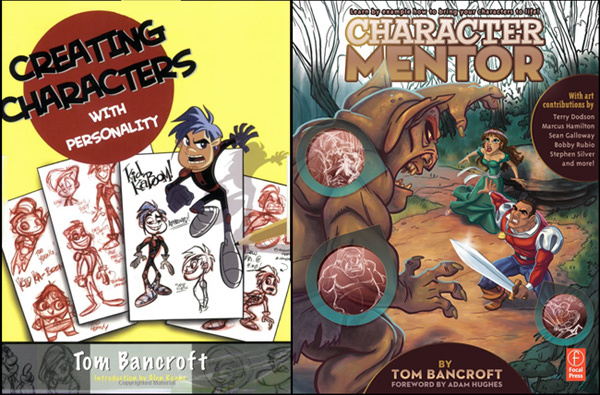 My newest book, CHARACTER MENTOR, is all about learning via mentorship from an experienced Journeyman in your chosen field. The live workshops grew from that since they were something I could manage in my “extra” time, but still could touch as many people as possible. Now that you have done a few classes, what have you learned or enjoy most about the classes? The interactivity of them. I’ve really pushed to do LIVE workshops because I love the idea of building a sense of community amongst the group attending. We have many regulars that attend every time- probably around 50- with others coming and going. That core starts to build bonds and learn from each other, not just me. This is the heart of mentorship, learning from experienced artists and your peers alike. We are relooking at how to move forward with the live events because there is a lack of security in the Livestream format. We end up with many Looky-loos that attend without paying and that’s not fair to those that do. I haven’t given up on the LIVE aspect yet though. Can you tell us what your new book “Character Mentor” is about? I look at it as a continuation of the first book, “Creating Characters with Personality”. That book starts people off with the fundamentals of how to design a character. Character Mentor assumes you have a character, now what do you do with it? I concentrate on the three aspects of bringing your character to life: expressions, posing, and staging. I chose to use the “mentorship” concept to illustrate these lessons. I gave out “assignments” to artists online and reproduced a few of the results, and then I went over them giving instructions on ways they could be improved. Can you tell us about your animation schooling at Calarts, what did you learn that helped you in your career? Everything. Cal Arts was a great experience, but it was all too short. My brother and I couldn’t afford to go for all four years, so when Disney came looking for interns half way into our second year, we jumped at the chance and were accepted into the internship. I loved learning on the job, but I am a bit jealous of those that took the time at Cal Arts to experiment and make films like I would have liked to do. Three of the highlights of my Cal Arts schooling were: 1) the Character Design class taught by the talented Mike Giamo (who later became the art director of POCAHONTAS), a brief, semester long class on storyboarding taught by the late Joe Ranft, and the couple times Glen Keane came to the school to lecture about animation to the upper classman. We freshmen would sit along the balcony and listen in. Glen is both the best animator and the best teacher in the world, in my opinion! 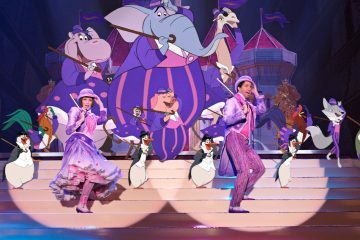 When you started at Disney which artists mentored you? 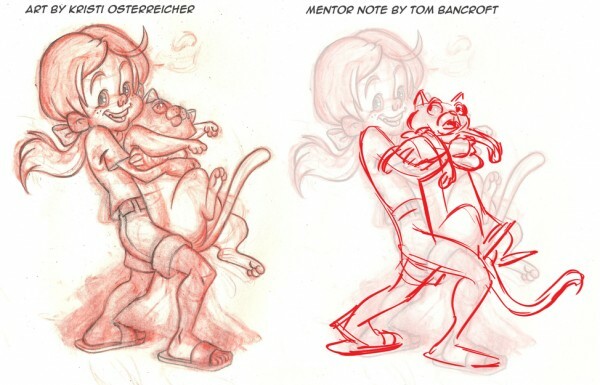 My very first mentor was during our 9-week internship at the Disney CA studio and his name was Leon Joosen. Leon was one of the animators animating Ariel on the Little Mermaid at the time, so it was awesome seeing him work on the film. Even in that brief time together, I found that we had a similar, organic approach to animation. After that, I went to help open the Disney Florida studio and I was teamed up with Mark Henn as his Assistant Animator. This was a clean up position but I learned a ton about how he approached animation and concepts like timing charts. I wanted to be an animator badly and he knew it so he was very free with his lessons on animation and would often ask me what I thought of his first rough passes. I was always favorable, of course. Blown away was usually how I felt when seeing his first, scribble passes but I tried not to be too much of an animation fanboy with Mark. 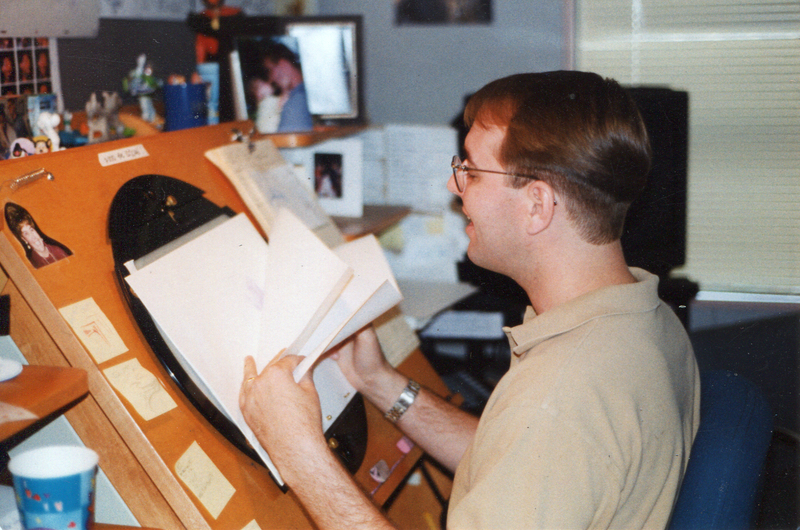 Mark was my main mentor throughout my career at Disney, especially when I moved into animation on Beauty and the Beast and Aladdin. We worked even closer together on The Lion King when I was put in his Young Simba unit. Not everyone knows that Mark, besides being one of the top 5 animators for quality animation was also THE fastest animator. He would regularly produce more footage than about three animators put together! This made being in his unit on Simba tough, because there were not that many good scenes left to be done as he plowed through everything. Still, he gave me a few gems. 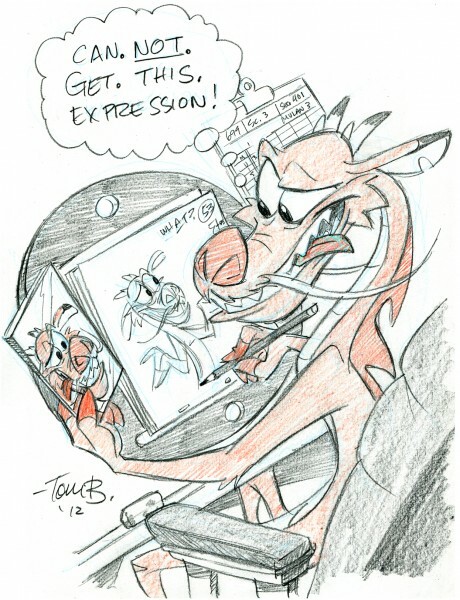 Even when I became a supervising animator on Mushu, I would ask Mark’s opinion on things like dialogue and such. He is a modern master! You started your internship at Disney during Little Mermaid; do you remember the first scene you worked on? Unfortunately, as an intern at Disney you didn’t get to work on production. It’s still heartbreaking to have been around The Little Mermaid and not to have been able to say I worked on it. I have many fond memories of going to screenings of the first rough passes of the film and being enthralled with the process and film. The closest I got to Mermaid was working in clean up on the McDonalds Happy Meal commercial with her and Scuttle in it. It was one of the first projects we did in the new Florida studio. Mark Henn animated most all of it. 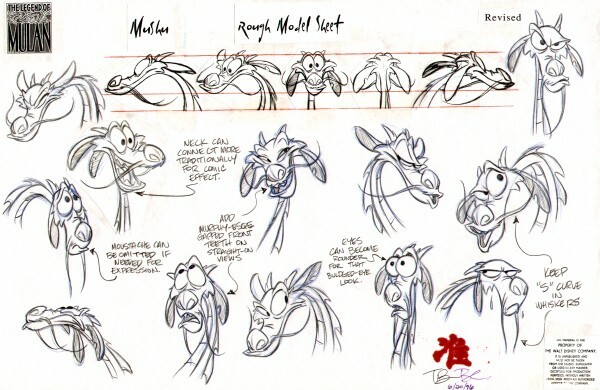 Did you help in the design of Mushu being the supervising animator? For whatever reason, Disney does not like to let the Supervising Animators lay claim (at least in the credits of the film) on designing their characters. That said, I did design Mushu. 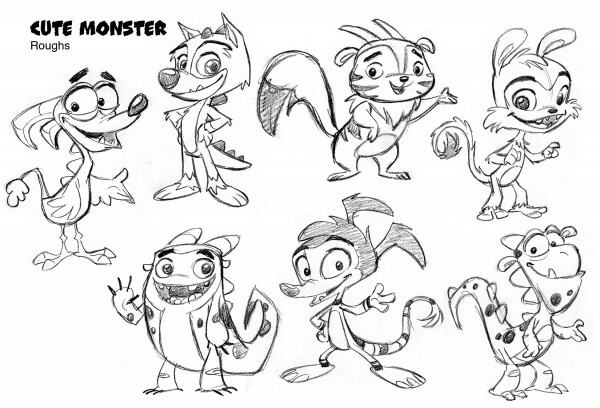 There were development people, storyboard artists, and others like Peter De’Seve that did some versions of Mushu, but I did the final version. Along with many, many other versions that didn’t make it. I guess in the end, no ONE person designs a character (usually) in a Disney film. Still, I wish I could have been listed as A character designer in the credits since I was one. 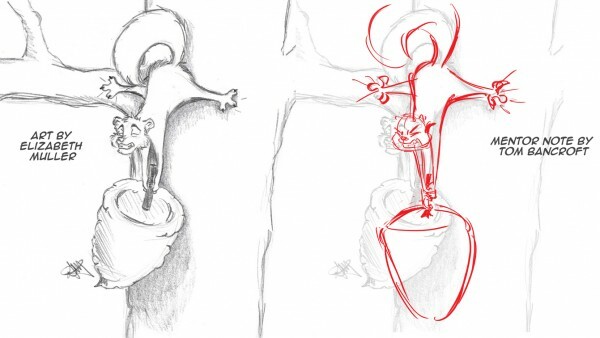 It was almost a year process to design Mushu, but much of that time was also spent making experimental animation tests also. After Disney closed their doors in Florida in 2004, why did you make the move to Tennessee? It became a “why not” kind of decision. 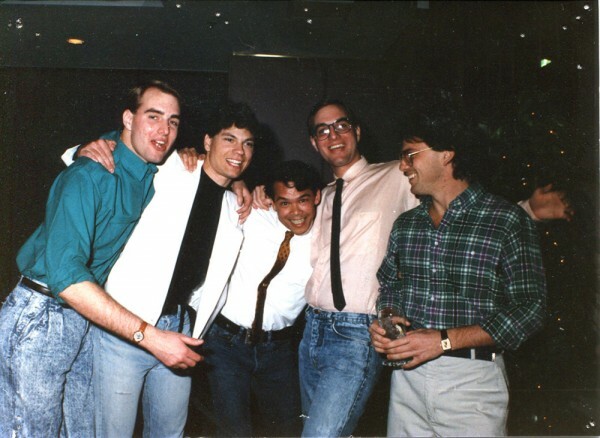 I had left Disney just after Brother Bear (since there were no new positions on the soon to be canceled “A Few Good Ghosts) so I started my company, Funnypages Productions, out of my house in Florida for a year. I was doing all kinds of freelance including animation and lots of book illustration and marketing art for Disney among others. I realized very quickly that I could live anywhere and work via the internet, so we started looking around and decided on Franklin, TN since I had heard of it when I was working in Chicago (for Big Idea Productions) briefly in 2000. Big Idea had a small office in Franklin and I would hear great things about how small town it was. My wife and I visited and fell in love with it and have been here for the last 9 years now. Are you currently working on any personal traditionally animated projects? No, I’m not. But its not like I haven’t thought about it many times. I haven’t animated much at all in the last 9 years and haven’t animated at all in the last 3 or 4. So, it’s a bit intimidating to think about jumping back in but I sure miss it. My twin brother, Tony, still animates freelance regularly which keeps me thinking I want to jump back in. Still, I’m pretty complete if I never get the opportunity to animate again because I really enjoy this phase of life teaching, designing characters, and creating original stories of my own. Animation is very time consuming and the older I get the less time I feel I have to put into projects. Lastly, what about Traditional Animation is Special to you? Traditional Animation will always be an amazing, crazy, fantastic art form. It is still done in basically the same way as it was when it was first invented! How many forms of entertainment/business/art can you say that about? The crazy part of it is the fact that you are literally drawing every movement in slow motion, over and over again. It can be maddening to think about, which is why I never counted frames. I just started at the beginning and would keep going till I got to the end. The most special part of Traditional Animation to me is the people that do it. I think 2D animators are some of the best artists in the world. You have to know so much and have so much experience in such a wide area of subjects to be able to be a competent animator that it makes you an artist that can rival the Masters of Old. We may not paint, but we can create magic with a pencil that very few in the world can do. That’s the magic and I’m proud that I had a small part of Traditional Animation’s history. Thanks Tom for the great interview! The following is more information about his Character Mentor Workshops. CHARACTER PERFORMANCE is job one as an animator/storyteller. Giving your character a personality that you clearly communicate is the basis of all acting in animation. With a character that ACTS, animation (movement) is secondary to establishing the personality of the character through its design, poses, expression and clear staging. This subject will be discussed with many illustrations and reference. Assignment draw over/ review will happen after the lecture. Come be part of the community of artists trying to make their characters the best they can be! PLUS: a preview of Tom Bancroft’s new Kickstarter comic project coming in FEB! Draw a full body pose of Emma looking at something in her hand. -The goal here is to create a clear pose and expression that tells a clear story. Is she scared of what she is holding? Fascinated? Enamored? Mad? Draw it big enough so we can see her face, but remember that her body language should push the attitude. PLEASE GO TO www.CharacterMentorStudio.com for more information and links to sign up. We will contact you within an hour or two of the workshop webcast with an email that will contain the link to the email account you have on file with PayPal. PayPal will send you an email that will state we received your payment. PAYMENT and Registration for the workshop ENDS TWO HOURS BEFORE THE EVENT! Great interview ,so glad the live classes are to continue. Great interview and looking at his draw overs this guy really knows his stuff! Mushu was probably my favorite character in Mulan.